In some ways, everything there is to know about Teens Of Denial can be found in the video for the record’s centerpiece, “Drunk Drivers/Killer Whales.” The clip is deceptively simple: As frontman Will Toledo’s falsetto floats in, we see a road ahead. We’re speeding along in the darkness as passengers, buckled in to this perspective, until just past the halfway point, when the scene abruptly shifts from enveloping blackness to sunshine and a vast ocean. That moment is paired with a lyrical shift from despair (“In the backseat of my heart, my love tells me I’m a mess”) to hope: “It doesn’t have to be like this,” sings Toledo as the landscape opens wide, followed by a change from “drunk drivers” to “killer whales” as the refrain. That exercise in tension and release, repeated throughout the record, is essential to Teens Of Denial’s blistering greatness. The distortion-laden songs on Teens Of Denial build and soar, often repeatedly within a few minutes. 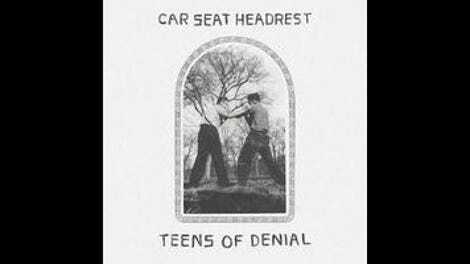 This isn’t entirely new for the band; Toledo previously released 11 rock records as Car Seat Headrest’s sole, overdubbed performer (including last year’s excellent Teens Of Style). Teens Of Denial’s full lineup only adds to those albums’ intensity. 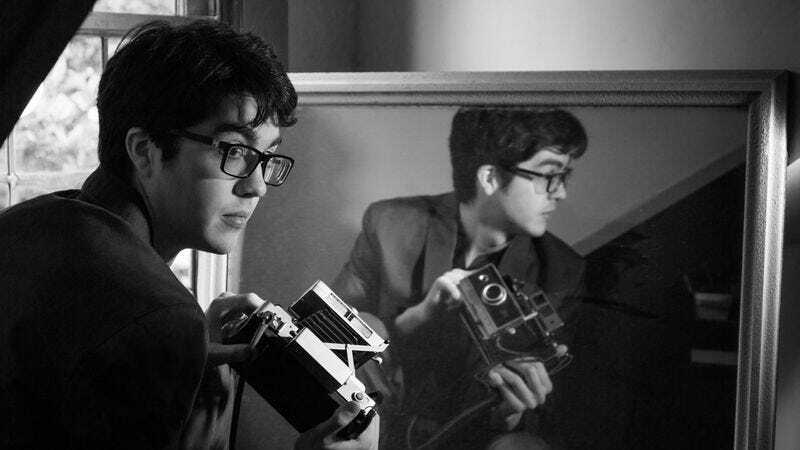 From the first notes of album opener “Fill In The Blank,” in which a chiming, distorted electric guitar is joined by a clockwork kick drum—only to periodically stop on a dime—it’s clear that Teens Of Denial is going to be an exciting burst of fits and starts that add up to an electrifying whole. Toledo and his bandmates playfully steal the sounds of bands like Pavement, Guided By Voices, and Sonic Youth—and one track, up until a legal issue forced Matador to reconsider, even included a snippet covering the Cars’ “Just What I Needed”—but, paired with the emotional detachment of Toledo’s Ray Davies-like voice, the sound is distinctive. Another highlight, “Destroyed By Hippie Powers,” speeds along confidently, eventually fueled by an overpowering cowbell. Acoustic guitars make appearances (most notably on album closer “Joe Goes To School”), but the effect is more Jonathan Richman than Elliott Smith: Even when intimate, Toledo is charmingly distant. Which isn’t to say that Teens Of Denial is only a way for Toledo to exorcise angst; more than anything, this record is a lot of goddamned fun. The songs, even the 11-minute epic “The Ballad Of The Costa Concordia,” breeze by with infectious melodies and dark humor. (“They say that the world is one,” Toledo sings on “Unforgiving Girl,” “But if the world is one, how come you never come around anymore?”) The album has a loose concept—a protagonist/Toledo alter-ego named Joe stumbles his way through the world while bemoaning subjects as seemingly disparate as love, cops, and Air Jordans—but the framework never overburdens the record’s momentum.